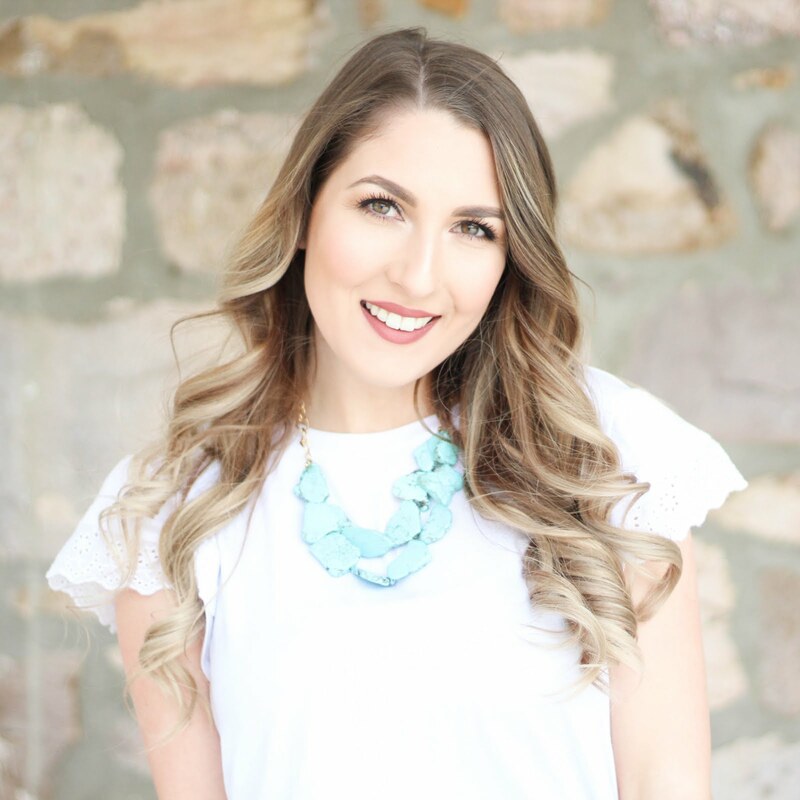 I'm so excited for this post! My parents and siblings live about three hours away so any time spent with them is precious. Making my wedding cake with my Mom will be a memory that we will share for a lifetime, plus my Mom is an amazing baker and the cake was flippin delish. 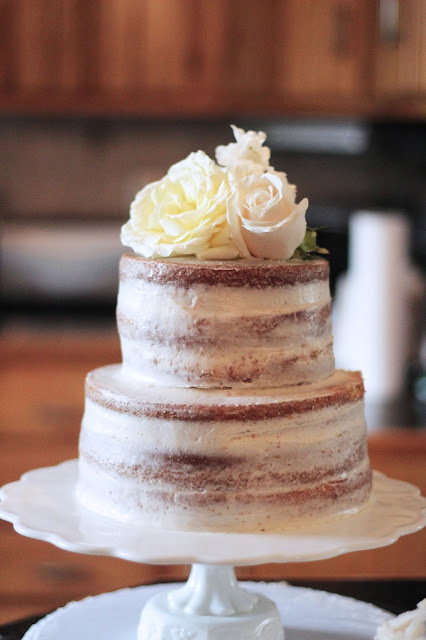 I had never iced a naked cake in my entire life until the night before the wedding. My practice cake was the cake that Chris and I will eat on our one year anniversary and it turned out amazing! 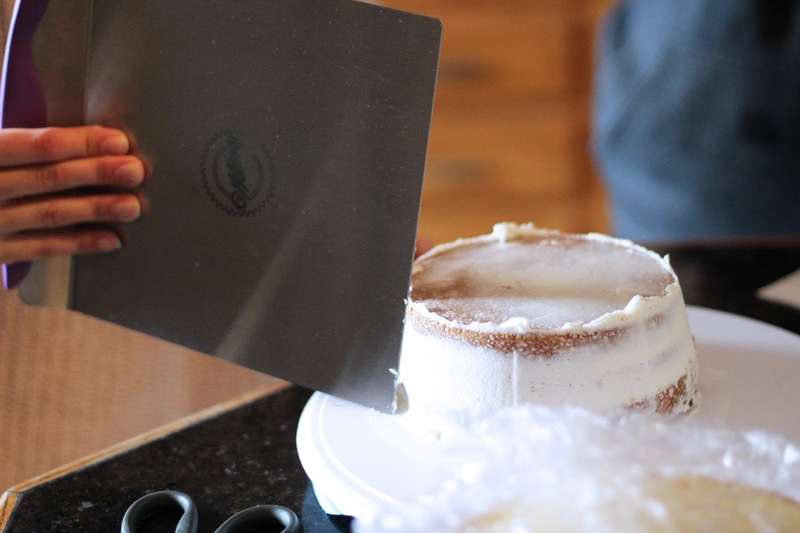 The key to icing your cake to perfection is having the right tools. I purchased these from Michaels craft store with several trips and used 50% & 60% off coupons! For the wedding, I had the cake table and a dessert table. For the main wedding cake, I did a two tiered cake where each tier had three layers. The bottom was a three layer 8 inch cake and the top was a three layer 6 inch cake. On the cake table, I had a three layer 8 inch and a three layer 6 inch on separate cake stands. Having the same cake sizes made it so easy to bake and prep for the next layer. Each layer was one full cake cut in half. I'll go over that in a minute! 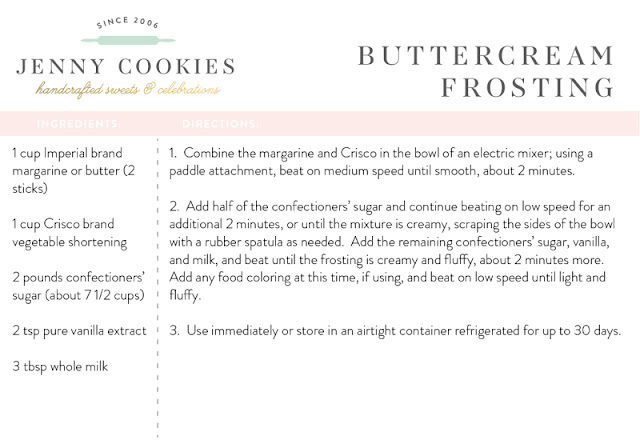 Follow the instructions on the back of the Betty Crocker Cake Mix. The only difference, is you will be adding a box of Vanilla Instant JELL-O mix once everything is all mixed together. This makes the box mix so, so moist and makes it taste more like a homemade cake! **Each cake mix will make two 8 inch cakes OR three 6 inch cakes. Prior to icing, it is super important that you let the cakes cool before removing them from the pan. Before leveling the cake, make sure that the cake is completely cooled. We let them sit out for about five hours before trimming and leveling the tops. I wish I had pictures of this step for you, but I promise it is super duper easy. 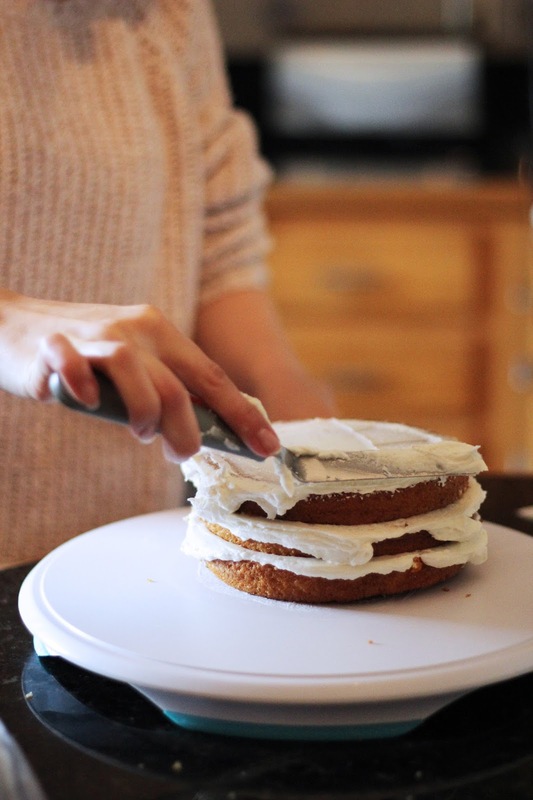 Use your Cake Leveler to trim off the top to make it perfectly flat. You will do this for every single cake you baked so that you have even and level layers for all your cakes. After we had trimmed all of our cakes, we wrapped them all tightly in plastic wrap and let them cool and settle in the refrigerator. We made the cake on Wednesday night (our only free night to make it) and we iced the cake on Friday morning in the kitchen at the barn. On Wednesday night, we also made the icing and had it in a container in the refrigerator. Now it's time to get decorating! 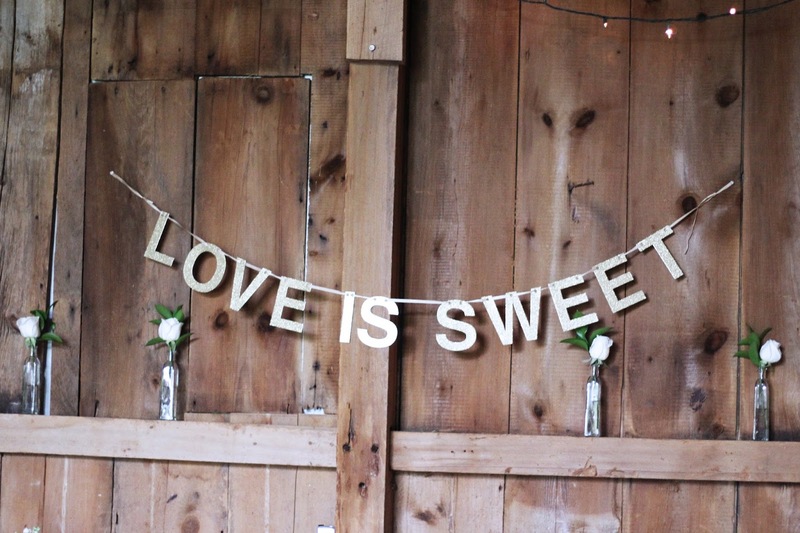 This tutorial will be for the actual wedding cake. It will be a three layer 8 inch cake and a three layer 6 inch cake. 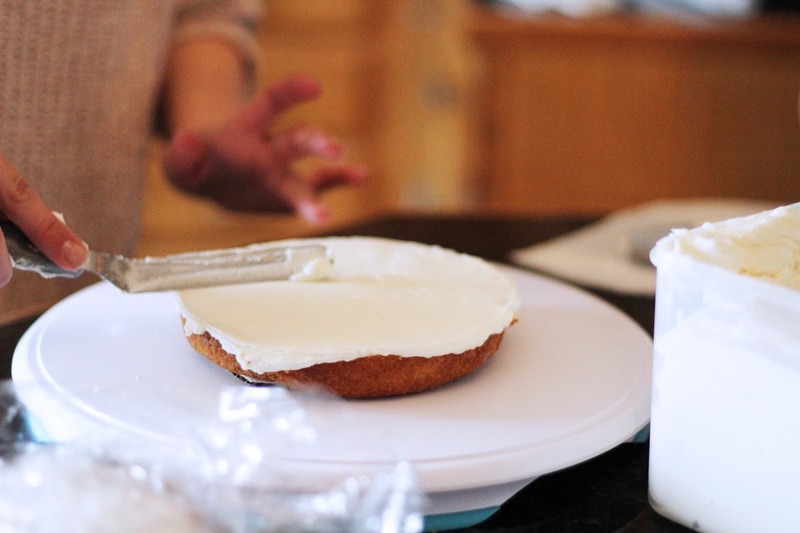 **Before starting, remove your icing from the refrigerator about an hour prior to icing. This will help soften it up and make it easier to spread! Cut the Cake Boards just slightly smaller than your cake. You should only need to cut it for the 6 inch cake layer. Your cake board will go onto your Cake Turntable. I secured it by using a little icing as glue! Next, place your first layer of your 8 inch cake on your Cake Board securing it with icing as glue as well. We had our icing in our container still and used the Angled Spatula to fill the Disposable Decorating Bag. *Before filling your icing bag, make sure you put the Icing Tip in first! 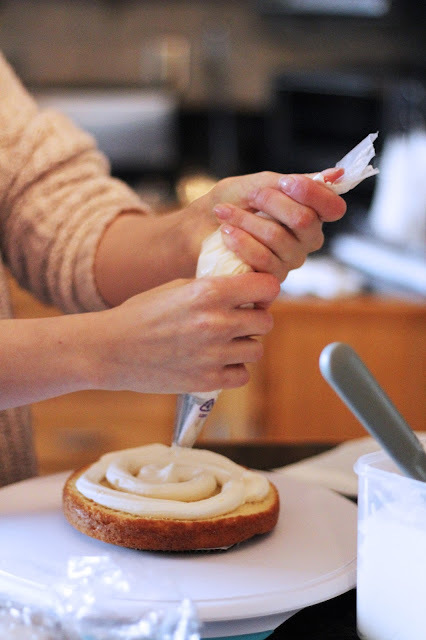 After you have your icing on your cake layer, (I made a spiral) use your Angled Spatula to smooth out your layer. 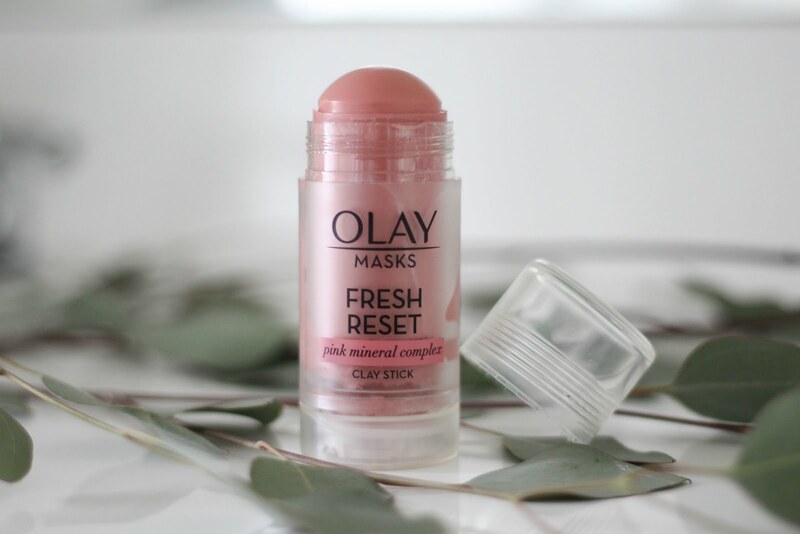 Trust me, the messier, the better. 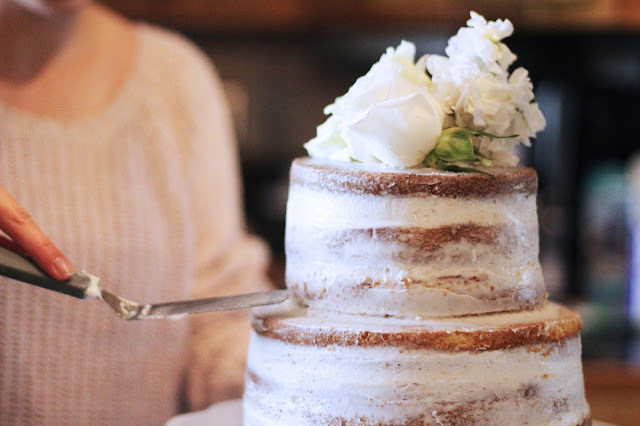 That's what makes the perfect naked cake. 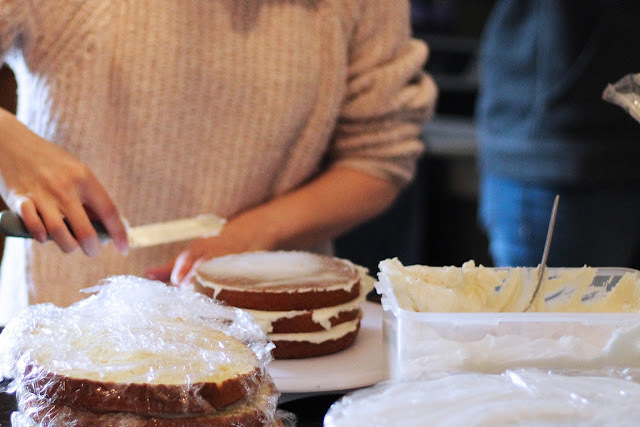 You'll repeat those steps until you have all three of your layers on your cake. *Make sure the top layer of your cake is upside down so that it is perfectly flat. 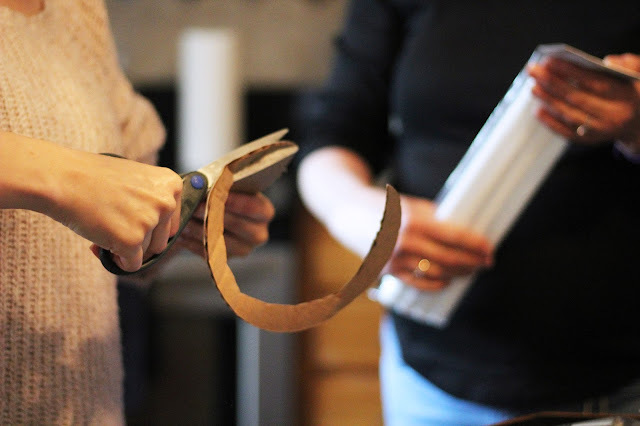 Once the top of your cake is perfectly smooth, you will then use the Cake Lifter as an oversized smoothing tool. This was probably my favorite tool throughout this whole process. Since your cake is on the Cake Turntable, it makes it super easy to spin and smooth at the same time. 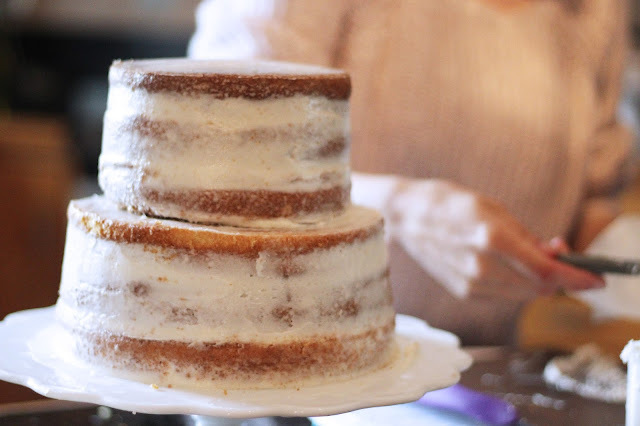 If the layers in between the cake seemed a little bare, I would add a little icing in the holes and then re-smooth the cake again. For the icing that is sticking up on the top in the picture below, use your Angled Spatula to smooth it from the outside in. It helps to clean off your spatula in between swipes. I just swiped it on the side of my icing container. 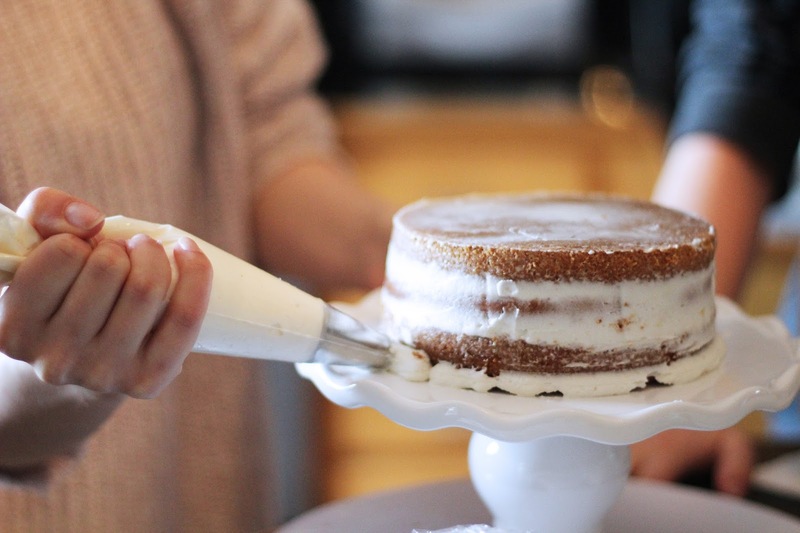 Once you have your 8 inch cake the way you want it, use your Cake Lifter to lift your cake off the Cake Turntable and place it on your cake stand of choice. 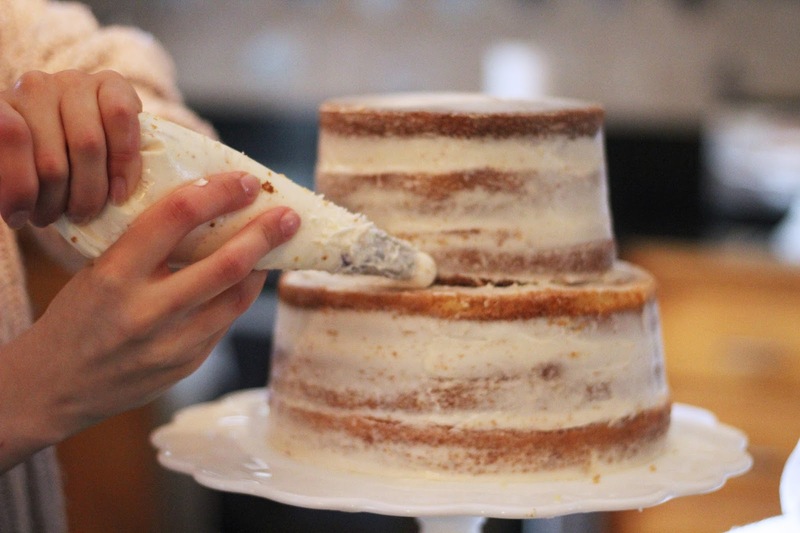 Now you will want to pipe a little icing along the bottom as shown in the picture below. This will help conceal the bottom of the cake and make it look seamless now that it is on the cake stand. 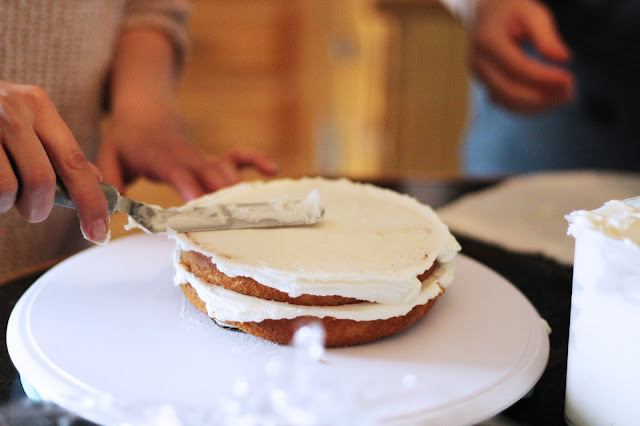 To smooth the icing, I used my finger and then went over the entire cake with my clean Cake Lifter to smooth it all out. Plastic Dowel Rods through the cake in a square pattern in the center. *Make sure you don't have them too far to the outside otherwise the 6 inch cake going on top won't conceal them! 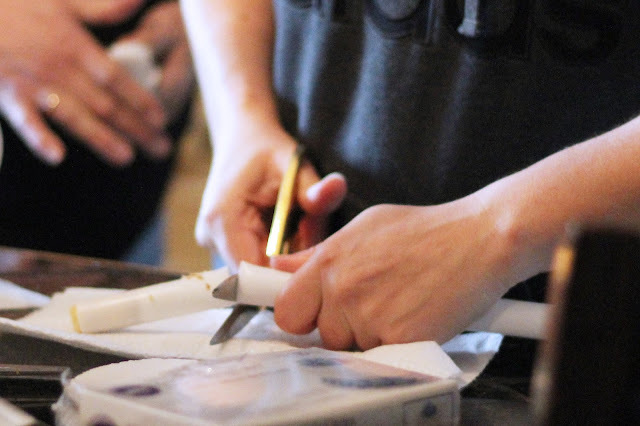 Now, you're going to want to make a mark on the rod by the cake so that you can have a reference point on where to cut it so it is level with the cake once they go back in. 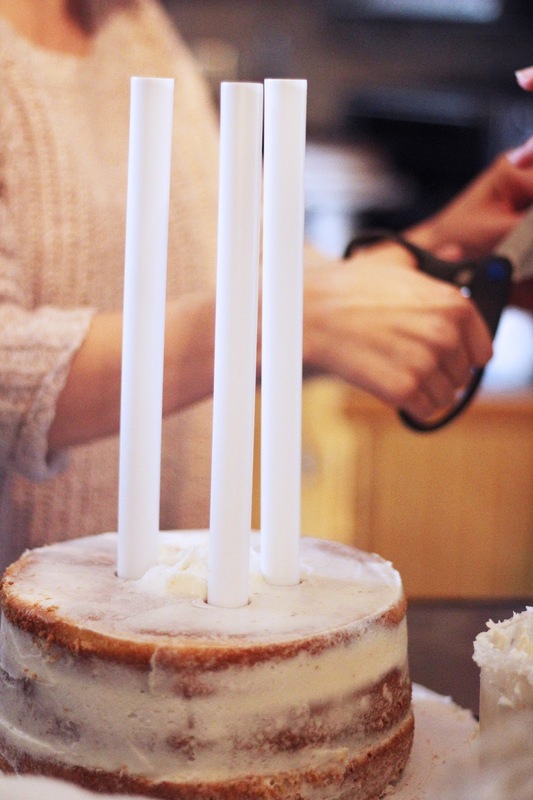 You're going to repeat this tutorial from the beginning for your 6 inch cake, except you don't need the dowel rods for this one. Make sure you have a Cake Board in between the two cakes to make it easier to separate them during the wedding. Remember how we piped and smoothed out the bottom of the 8 inch cake? We're going to do the same thing at the base of the 6 inch cake so the two cakes go together seamlessly. To smooth everything out, I used the Angled Spatula once more on any areas that weren't perfect...well as perfect as a naked cake can be. I grabbed a few left over flowers and added them to the top for a classy topper. 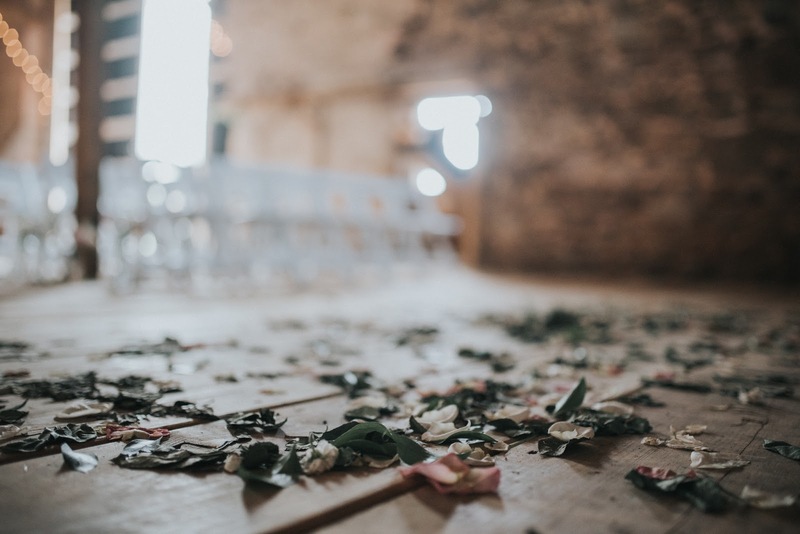 I used a little icing on the top to secure the flowers so that they wouldn't move as we were transporting them to the barn. But there you have it--our wedding cake! I was so happy with how it turned out. Trust me, if I can decorate a cake, so can you! 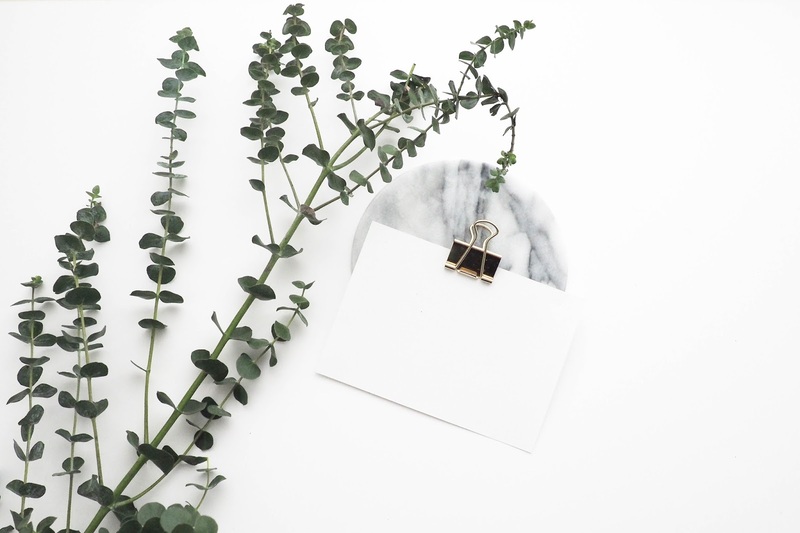 It's so easy--just make sure you grab the tools to make it even easier on yourself. What do you think?! I don't think I'll ever be buying a cake again. I'm too obsessed with making them now. Do you think you're going to try and make a naked cake soon? For a wedding, your birthday, just because?! If you have any questions at all, feel free to ask in the comments!